Computer Aided Design (CAD) aids in the creation, modification, analysis, or optimization of model design, with specialized support provided by the X3D CADGeometry component. The Computer Aided Design (CAD) examples illustrate simple concepts provided by the X3D CAD Geometry Component and CADInterchange Profile. Significant additional work is being pursued by the X3D CAD Working Group and is documented on the X3D CAD Working Group Wiki. A supporting CAD chapter slideset is available online via X3dGraphics.com. Technical capabilities are summarized by the SC-4 TC-184 Visualization Requirements For X3D CAD report, published May 2009. Cad Design Pattern Example Bushing Design pattern examples demonstrating proper hierarchy of CAD nodes: CADLayer, CADAssembly, CADPart, and then CADFace. Cad Geometry Extern Prototypes This scene provides tool developers with X3D Amendment 1 CAD Component node prototypes, providing backwards compatibility with VRML97 and X3D v3.0. Cad Geometry Prototypes This scene provides tool developers with X3D Amendment 1 CAD Component node prototypes, providing backwards compatibility with VRML97 and X3D v3.0. CADPart Child No Transformation Developer scene to explore Mantis Issue 528, providing a baseline example with no transformation of CADPart children. CADPart Child Transformation Alternative A Developer scene to explore Mantis Issue 528 Alternative A for transformation of CADFace children: allow Transform node as child of CADFace. CADPart Child Transformation Alternative B Developer scene to explore Mantis Issue 528 Alternative B for transformation of CADFace children: add transformation fields to CADFace specification. CADPart Child Transformation Alternative C Developer scene to explore Mantis Issue 528 Alternative C for transformation of of CADFace children: allow Transform between CADPart and CADFace nodes. 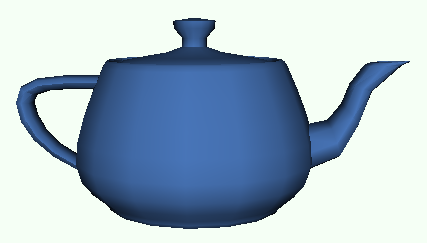 Cad Teapot Teapot model demonstrating proper hierarchy of CAD nodes: CADLayer, CADAssembly, CADPart, and then CADFace. Catia Hub Assembly Combined Single file combining all information for the CatiaHubAssembly model, demonstrating CAD assembly structure conserving transform information of each CADAssembly. Catia Hub Assembly Inline CatiaHubAssembly model demonstrating external referencing of geometry files using Prototype with Inline. Catia Hub Bushing Provide a bushing part (a hollow cylinder) for use by CatiaHubAssemblyInline scene, using CADAssembly and Inline nodes. Catia Hub Cap Provide a Cap part for use by CatiaHubAssemblyInline using CADAssembly and Inline nodes. Catia Hub Disc With Holes Provide a Disc with holes part for use by CatiaHubAssemblyInline using CADAssembly and Inline nodes. Catia Hub Gasket Provide a Gasket part for use by CatiaHubAssemblyInline using CADAssembly and Inline nodes. Clip Plane Example Illustrate use of two ClipPlane intersections across four sets of primitive geometry. Line indicators are outside the scope of the ClipPlane transformation hierarchy and so are not clipped. Indexed Quad Set Example Simple IndexedQuadSet example. Indexed Quad Set Texture Demonstrates IndexedQuadSet node of CADGeometry component, includes child nodes for normal vectors and texture coordinates. Scene shows an image projected onto the inner surface of a patch of a spherical region. Key Fob Web 3D 2013 Basque Country Model of a key chain fob with with WEB3D 2013 conference lettering, using the colors of the Basque Country flag. Key Fob Web 3D 2013 Spain Model of a key chain fob with with WEB3D 2013 conference lettering, using the colors of the Spanish flag. Quad Set Color Demonstrates QuadSet node of CADGeometry component, includes child nodes for normal vectors and color (per vertex). Quad Set Example Simple QuadSet example scene.